In my art I would like to capture the hearts of the viewers by creating paintings that not only are technical but also deep and truthful. I want my emotions and life experiences speak out while they all come together with the use of my imagination and colours in a beautiful harmony to unify my artworks. 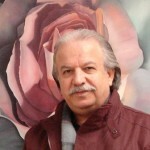 Iranian-Canadian artist, Alijan Alijanpour, was born on March 26, 1956 in Fereydun Kenar, Mazandaran Provice, in Iran. As a young child he gravitated towards drawing and painting to express his feelings and emotions. At a young age of 11, he moved to the country’s capital, Tehran. There he enlisted as the mentee of two of the greatest masters of Persian Traditional Painting (Negargari or Miniature) for the next few decades. These masters were late master Zavieh and master Mahmoud Farshchian who currently resides in the United States. In his early twenties, Alijanpour took Miniature to new heights by introducing his modern style into it. This can be clearly seen in comparing his works to other works of Miniature artists. His works employ painting techniques and colour combinations that make the painting specific to his style. Alijanpour started to climb up the ladder of success in his work by his early 30s when he successfully participated in numerous local and international exhibitions and events around the world. Some of the most important of these events were held in Greece, China, and Canada in the CNE and also at Parliament Hill in Ottawa. During these events, he gathered a lot of knowledge and insight from different renowned artists and their culture: from East Asia, Mediterranean Europe, and to North America. This influence is shown in his works today which are internationally recognized and revered, such as the United Couples series. Alijanpour believes that his artwork has to be kept current with the evolution of visual arts internationally, without changing his true self-expression, imagination, and emotions. This requires constant refining of one’s methods and techniques in painting, as well as the message portrayed by it. His versatile paintings range from traditional Miniature and frescos, to modern landscapes and still life imagery. 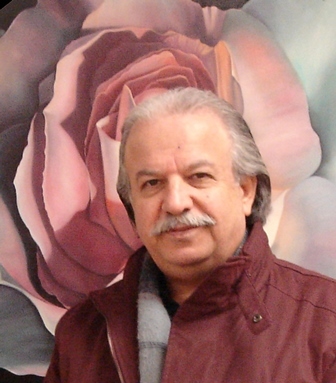 Since 2000, Irena Art Gallery in Toronto has been Alijanpour’s permanent place of instruction to his students as well as his gallery to showcase his masterpieces. Alijanpour’s emotions and experiences have culminated in his latest series of works known as Kissing, Dancing, Flying, and the United Couples. Each of these series of works employs a new style of figure painting which has recently captivated art lovers and artists around the world. Since the early 20th century, no artist has had an honor of having their work permanently displayed in the halls of the Ontario Legislative Building in Queen’s Park, Toronto. In 2011, Alijanpour was commissioned to paint and to unveil a painting for this purpose. On May 28, 2011 the Speaker of the House of the Provincial Parliament unveiled Alijanpour’s painting to visitors and politicians. He announced it as the first Iranian-Canadian’s artwork, and the first after many decades, to be added to the permanent collection of the building. This painting is a portrayal of the new facade of the building which was also renovated in 2011 to celebrate its renewal as a symbol of the Ontario Provincial Government.